A recurring conversation I have been finding myself having lately, both online and face to face, is what on earth we can possibly do in the face of a world that has turned itself upside down. Trump, Brexit, the demise of the NHS, the rise of the right across Europe, the devastating refugee crisis, an increasingly vulnerable natural environment, and increasingly terrifying global instability. There is so much that is wrong with the world at the moment it can be hard to know where to start. There are those who have dedicated themselves to a very clear path of activism, honing in on one cause and throwing their time and energy behind it, and others who are convinced that there is very little point in doing anything – that the cogs will keep turning in the same direction however big the groundswell of people that want things to change. 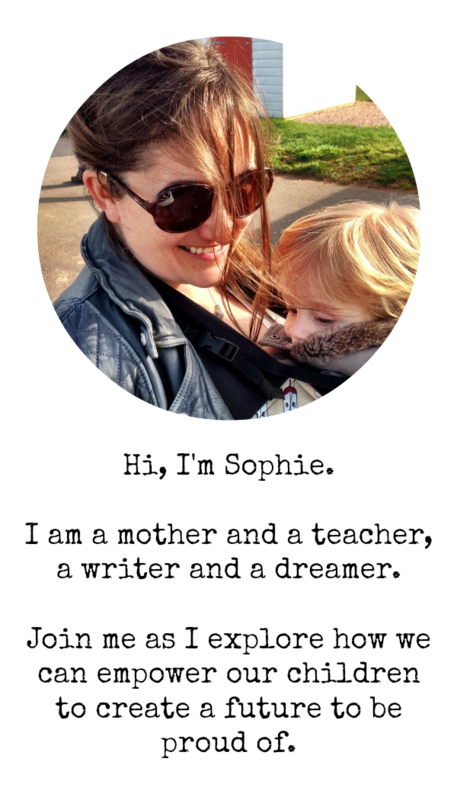 I am still trying to work out what my one clear path is – the aspect of all this mess that I feel most passionate about and where I have the knowledge and skills to be able to make a real difference. But in the meantime I know I cannot sit pessimistically back and just do nothing. 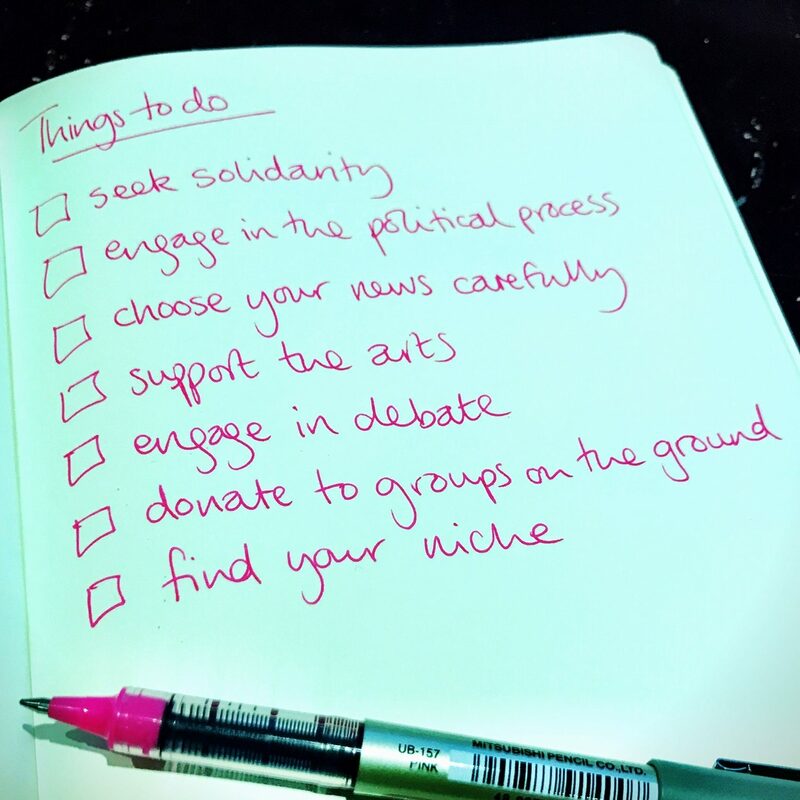 There have been lots of articles doing the rounds to kickstart people into action, some of which I have found more useful than others. In no particular order, here is my current list of things to do to begin to affect positive change. Hopefully there will be something here to keep you moving forward! Sign petitions. Join rallies. Go on protests. Take part in twitterstorms. On their own, these things might not always achieve an awful lot – but the very process of coming together with other people who feel as strongly as you do that things need to change can help you to keep going and find the strength to take things to the next level. If you seek out local action you might meet people close to you who can help you generate ideas and turn your frustrations into campaigns – and at the very least we are collectively sending out a message that our political leaders do not speak for us. It might not feel like they’re paying much attention, but there are plenty of people who are. Like it or not, our imperfect political system is an essential piece of the puzzle in getting our voices heard by those who have the power to do things differently. If you’re not already a member, join a political party. Get involved in local campaigning on the issues you care about. Write to your MP. Arrange to meet with them. Email the Prime Minister about those issues that you get so irate about on Facebook. It’s easy to dismiss the impact an email might make, but if every single person feeling disenfranchised and disillusioned took ten minutes out of their day to explain why to the people running the country then the millions of emails that would ensue would be hard for them to ignore. Of course the ultimate engagement in politics would be to stand for office: somebody has to represent our communities, and if you don’t believe that those who do are doing a very good job then do something about it! And obviously, don’t forget to vote – whatever chance you get. The political climate might be very different right now if everyone had protested with a cross in a box rather than by crossing their arms and staying silent. With the abundance of fake news stories doing the rounds online it can be all too easy to get suckered in to something that supports your point of view without checking that it’s actually true, and that’s not going to help anyone. It’s worth using a range of different stories to get closer to the truth of what’s going on, and it’s really important to support serious journalism – financially, if you can. So much of our media is controlled by those with the money to manipulate consumers’ views in whatever ways suit them. If we want more independent news outlets to survive we need to fill the gaps left by the dearth of big business backers. In a world where the mainstream narrative is becoming increasingly divisive and exclusionary the arts have a vital part to play in fuelling an alternative way of looking at the world. There has been some really positive action coming out of the arts community recently: from publishing houses vowing to help authors from marginalised countries to get their voices heard to New York’s MoMA showcasing contemporary artists barred from the US and actors using their position on the West End stage to publicly challenge Trump’s policies. We all have a part to play in this: we can all read the books, visit the exhibitions, watch the plays; we can talk about them, and we can help fuel an alternative narrative. Don’t let hate go unchallenged. Don’t help liars keep up their masquerade of truth. Whether it is stepping in when you witness acts of prejudice in the street or commenting on a questionable Facebook post that pops up in your timeline, don’t be a silent bystander to all the stuff that makes your blood boil. Maybe try not to get too obviously furious about it – we are in the business of building bridges here, not burning them – but if you can become that voice of doubt in the mind of those who are accepting the status quo without stopping to think about it then you are on to a good thing. And if it’s the mainstream media that is spouting the lies then challenge that too – the Independent Press Standards Organisation investigates complaints about newspapers and magazines, and Ofcom does the same for television and radio. Money again. Just as with the media and with the arts the most surefire way of supporting the activists making change happen is to put your hand in your pocket. There are so many different groups that could use your cash – Planned Parenthood, In Facts, the White Helmets, the NHS Support Federation, the Environmental Defense Fund, the ACLU to name just a few. None of us could donate to them all- but we could all choose one to make our priority. The flip side of this is of course not financially supporting organisations who are part of the problem… The recent high profile boycott of Uber showed just how powerful the consumer purse can be – and the #grabyourwallet campaign lists many other businesses you might want to think twice about supporting. 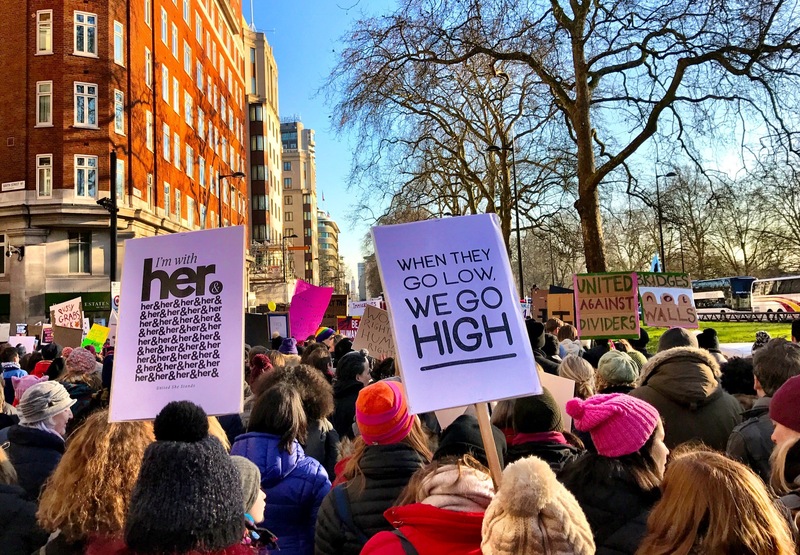 This is not a fight for the short term: if we are going to be able to harness our considerable collective power to really make a difference to the future we are going to need to buckle in for a long and bumpy ride. If you can, find a way to use your skills and your interests to really focus in on an area where you can bring about change. The potential scope for this is huge, and will be different for each of us. Whether it’s academic study, artistic endeavour, advocacy, direct campaigning or something else, think about how you can make your efforts count. Whatever you decide to do, make sure you hold your nerve. With the Trump regime indulging in its campaign of global gaslighting and our Tory government becoming increasingly removed from any sense of truth it can be all too easy to put your head in the sand and pretend that none of it is happening. But it is, and it is up to all of us to try and turn the tide. 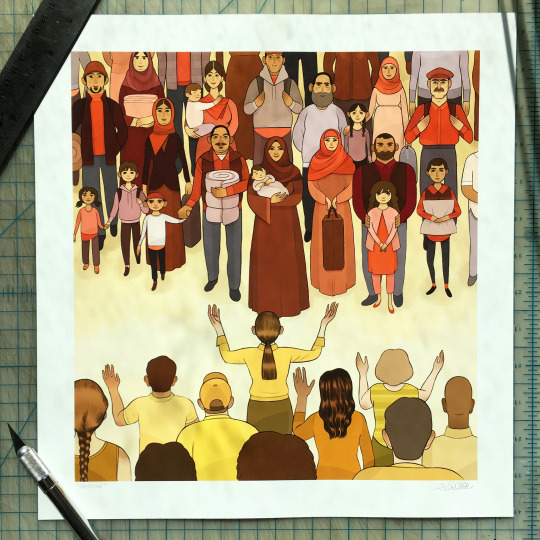 If you’re looking for a quick and easy way to make a stand you might want to check out this stunning print by my friend Caitlin – a vision of acceptance and international community, with 50% of the proceeds going to the American Civil Liberties Union. And if you have any other ideas about positive actions we can take, then please do share them in the comments. © 2019 Raising Revolutionaries. All Rights Reserved.